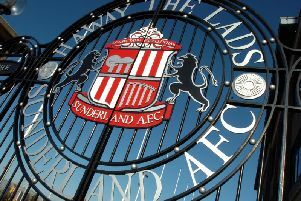 New signing Lamine Kone could go straight into the Sunderland starting XI for tonight’s clash with Manchester City. Kone and fellow January capture Wahbi Khazri are both in line to make their Black Cats bow against title-chasing City after the pair rubber-stamped their international clearance well in advance of the Stadium of Light encounter. He’s match-fit enough at French level. But unlike £9million import Khazri who is likely to be among the substitutes, Kone has had a sustained chance to train with his new team-mates after the Ivory Coast international’s arrival from Lorient last week. Kone could take the place of Wes Brown in Sunderland’s central defence and, crucially, is match-fit after 18 appearances in the French top flight this season. Sunderland boss Sam Allardyce said: “Lamine’s not like Dame (N’Doye) who had his difficulties in Turkey, which lots of players do. “And obviously Jan (Kirchhoff) who didn’t get the games he wanted to at Bayern. “There’s no point in being at a big club like Bayern if you’re not playing. “Lamine can go straight in hopefully. “He’s match-fit enough at French level. Can he transmit that ability straight into the Premier League? Kone’s English is at the basic level and Allardyce has been cautious over overwhelming the 26-year-old with information over the last five days on the training ground. But Allardyce believes Sunderland have landed a natural defender, who has the physical attributes to thrive in the Premier League. “We’ve done a little bit of work with him without it being too complicated and trying to cram too much into the mind,” said Allardyce. “It’s just been about talking him through it and showing him the video with the analysis lads over how it works as a unit. “We’ve been stressing two or three critical points and going on from there. “You can’t give too much information, too soon. “But he’s got all the attributes. “He’s a dominant central defender who likes defending, which is becoming a rarity in the world of football.